George Lucas, creator of the Star Wars saga, is selling LucasFilm to Disney for $4.05 billion in cash and stock. The timing of the move is thought to be motivated in part by the fiscal cliff, since tax rates on capital gains are set to jump about 60 percent at year end, from 15 percent now to 23.8 percent. According to TaxAnalysts (subscription required), the deal is 50 percent cash and 50 percent Disney stock, so Lucas has a recognized capital gain of $2 billion since the basis of the LucasFilm stock is almost zero. Taxed at 15 percent, Lucas owes $300 million, which is $176 million less than if he paid at next year’s rate of 23.8 percent. Likely, a lot of other privately held businesses are contemplating a similar move, i.e. not necessarily selling to Disney but to a large corporation or some other entity with sufficiently deep pockets that can wait out the high tax rates. Such tax planning is one reason why higher capital gains tax rates generally fail to raise additional revenue. The last time this was tried was in 1986, when the capital gains rate went from 20 percent to 28 percent. 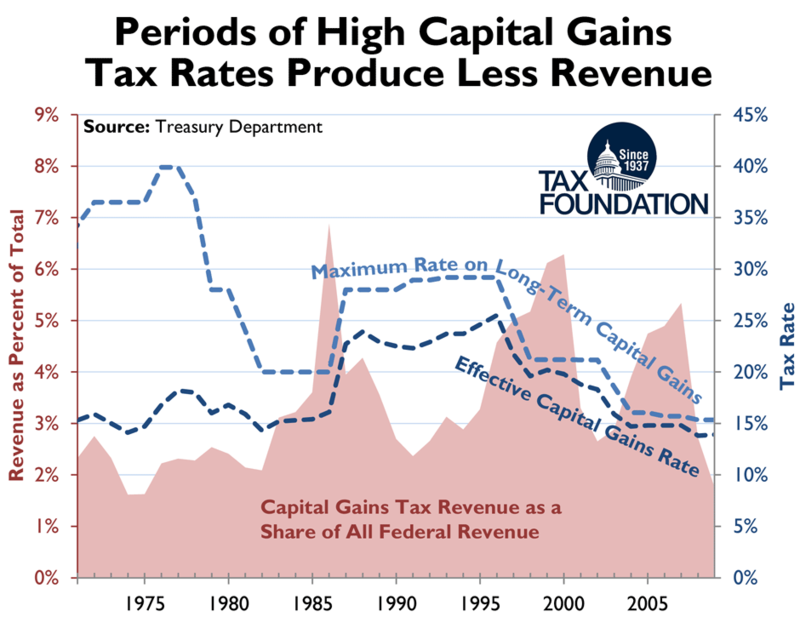 The chart below shows what happened: a huge spike in capital gains realizations and tax revenue under the lower rate in 1986 followed by a 10 year drought that only picked up again once the rate returned to 20 percent in 1997.